If you want to skip over the bold and brash plastic toys for as long as you can, or simply prefer classic wooden toys, have we got the store for you. 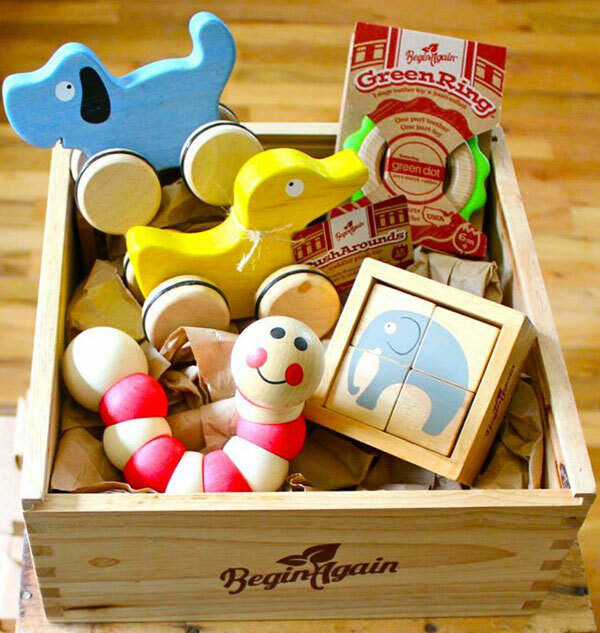 The beginner toys collection from awesome toy brand Begin Again is an excellent place to start building your child’s toy box. These toys are made from environmentally friendly rubberwood and you need not worry about scratching your floors with their push-pull toys thanks to the natural rubber banded wheels! The whole beginner toy range is amazingly affordable, with all toys under the US$20 price point. Small children will adore the PushArounds. Priced at only US$13 each, you can choose from a brightly coloured car, duck or dog. A delight to small hands, twist and turn these very cute Earthworms in various colours, for only US$11 each. 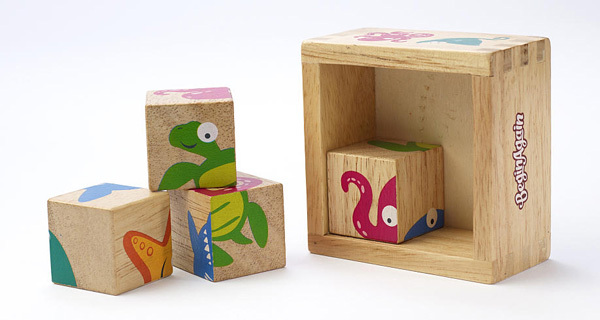 The Buddy Blocks are a set of four wooden blocks that form a puzzle when they’re off duty from stacking. Buddy Blocks are priced US$13 a set and with four different designs available, it’s quite tempting to collect them all. To see more, head on over to Begin Again.